Today, I was actually in a good mood. That hasn't happened in weeks. I think it's partly the fact that I have given up stressing over my paper. It's also partly the fact that our big news is out of the bag so that pressure is over. And it's partly this pretty little dress that I got on sale the other day that makes me feel super skinny and springy and happy. Remind me of this feeling later this week when I'm finishing the paper and am bitching about it okay? Girl! 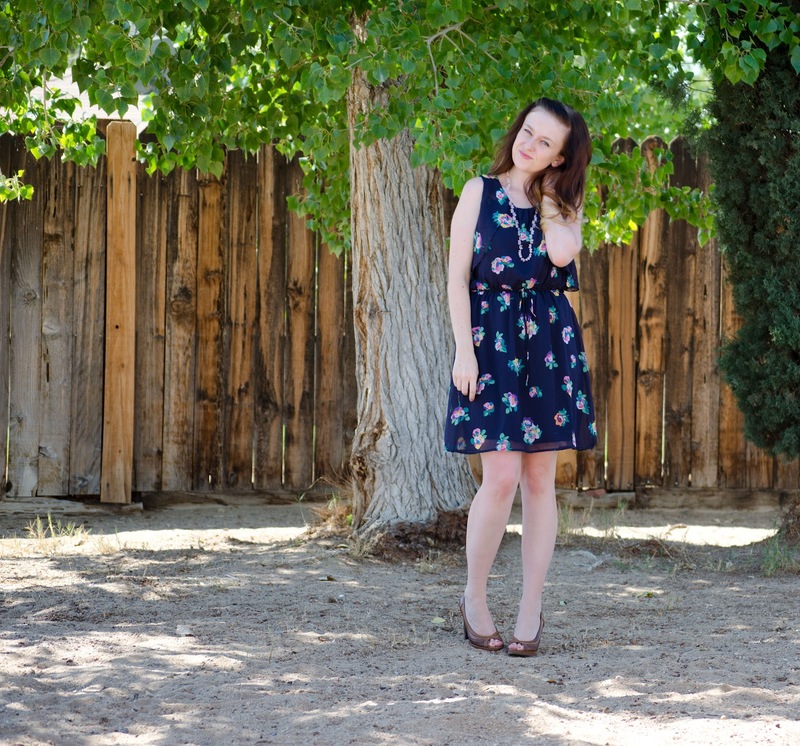 You have SUCH a cute blog and style! Aw thank you, so sweet!